In this edition of the Best Running Tips Newsletter I'd like you to like me! And we'll also talk about running for weight loss. After avoiding it for a long time I have decided that I could no longer stay away from Social Media like Twitter and Facebook. And about two months back I started my Facebook Fan Page. It is starting to get some followers as well, but I'd like you to give it a bit of a boost. 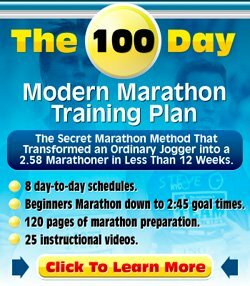 Please do me a favor and start "liking" Best Running Tips. I will make it worth your while. Become a fan before Wednesday 1 September and you are in the running for one of the copies of "How to Lose 10 Pounds in 10 Days". I'll give away ten. More about that ebook below. There is a reason I want this number to grow. You know a friend of mine works for this big weight loss organization, they sort of watch weight if you know what I am saying. He started this company's fan page in the same week as I started mine. He is well ahead with his number of fans at the moment, naturally for a big organization, but he is not unbeatable yet. He is about 140 fans ahead of me know. Now, it would give me great delight if by this time next week my number of fans surpasses his number of fans. It would give me some bragging rights. I'd like the little guy to win this race. Start "liking" Best Running Tips and make a chance to win that ebook! (If you are a fan already you don't have to do anything. You are automatically in the running to win that e-book). Oh, and I promise I won't start spamming your Facebook account with unnecessary messages. Just an update once a week or so with something worthwhile to know, a page on my site I know is pretty good but does not get much exposure, etc. Over the past month or so I have been answering quite a few questions about running for weight loss. What is the right speed to run for weight loss? When should I run in order to maximize weight loss? How much should I run to lose weight? There are a few pages on my site dealing with the issue, a very popular one is this one: Running for Weight Loss. Weight loss is a big issue. And so much is unclear. I blame the health and dieting industry. They try to overcomplicate it all in such a big way. Trying to sell the latest way of dieting. Cookie diet, South Beach diet, Atkins, fasting, cleansing, acai berries, sea weed, pills, powders, etc. Arguing why running at 6am is better than running at another time. Or worse. Let me provide you with a few myths. It's simple. Shortcuts do not work. A long and healthy life is based on eating real, honest, healthy food and doing regular exercise. It does not get much more complicated than that. Crash diets and the latest fad out of Hollywood are not going to get you there. You need an honest, sustainable way to weight loss, no silly stuff that can't be maintained for more than a week or two without serious health risks. Run every day, but stuff yourself with bad foods and you won't lose weight. Diet is a vital part of your weight loss plan. Not diet as in "starve yourself to death". Starvation diets do not work and are very unhealthy. More on that in Myth no 3. You will not lose weight when you starve yourself to death. Your body's metabolism is smart. It will shut down as will the rest of your body functions like your immune system. Now, let's not kid ourselves. For most of us a weight loss plan does mean that we need to find a balance in how much we consume. But it is more about what you eat. When you eat cookies, candy, etc you are not getting any nutrients in. Which means that your body is craving for more. Which means you eat more. On the other hand, when you eat healthily, you will find that you do not need to eat as much to satisfy your needs. For 95% of people who want to lose weight it is as simple as that. And yes, it does mean changing your ways. Eating less, eating healthier, exercising more. But it does not mean starving yourself, hunger and despair. Am I oversimplifying it? I don't think so. It's easy and straightforward. But easier said than done as it requires an awful lot of willpower. A good no-nonsense approach to weight loss is How to Lose 10 Pounds in 10 Days. It's not about silly things like an every other day diet, cookie diets, it does not promise crazy things. What it does do is talk about some weight loss myths, some truths and lies about weight loss. And it talks about what you should do. If you are struggling with weight loss, then get it. It's not a lengthy book, but it's a no fluff, simple approach to weight loss. If you get it, and you happen to be one of the winners in the "Like me"-contest, then you'll of course get a refund! In the meantime, come visit my site often and happy running.